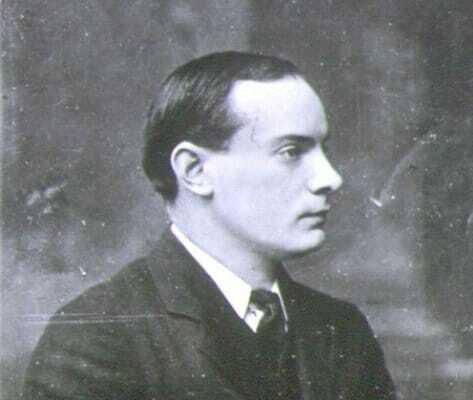 Today, May 3rd 2016, marks one hundred years since Pádraig Pearse (1879-1916) was executed for his part in the Easter Rising of 1916. Today my thoughts turn to his mother, who not only lost Pádraig, but merely one day later lost a second son, Willie. 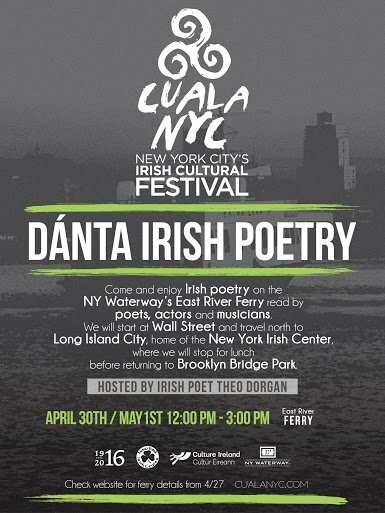 As people all over the United States prepare to celebrate Mothers Day this coming Sunday, Pádraig Pearse’s eloquent poem,”The Mother”, comes to mind. 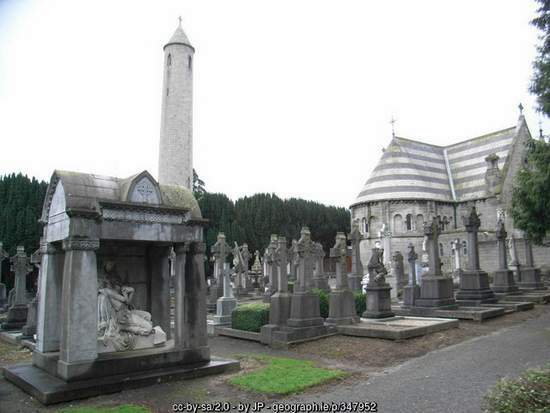 And so, here is Pearse’s poetic vision of his mother’s grief. These words always touch my heart…. 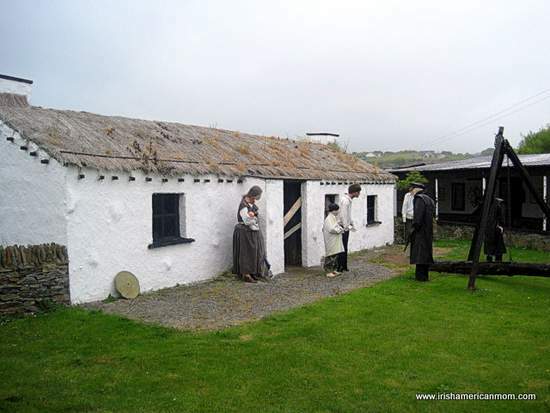 Padraig Pearse’s Cottage – © Copyright Chris Walpole and licensed for reuse under Creative Commons License. 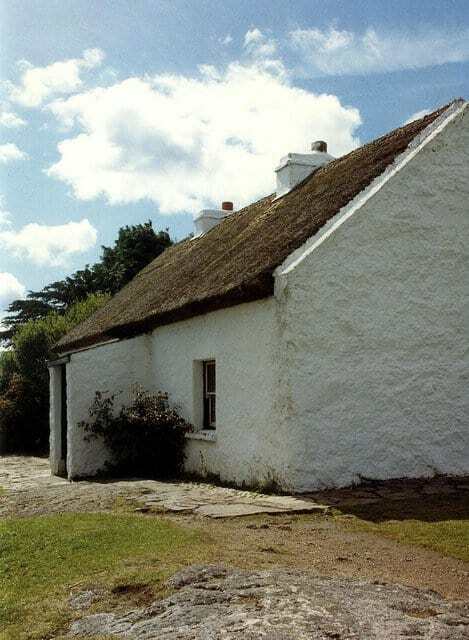 Pádraig Pearse owned a little thatched cottage in Rosmuc,County Galway right in the hearth of Connemara, where he spent his summers, surrounded by great granite mountains, silver lakes and the beautiful landscape of western Ireland. I often wonder if his mother Margaret Pearse stayed there with him. Perhaps she sat by the hearth, warmed by a turf fire, and the company of her family. …. I feel the depth and pain of her great loss, as she recollects her brave sons in childhood. 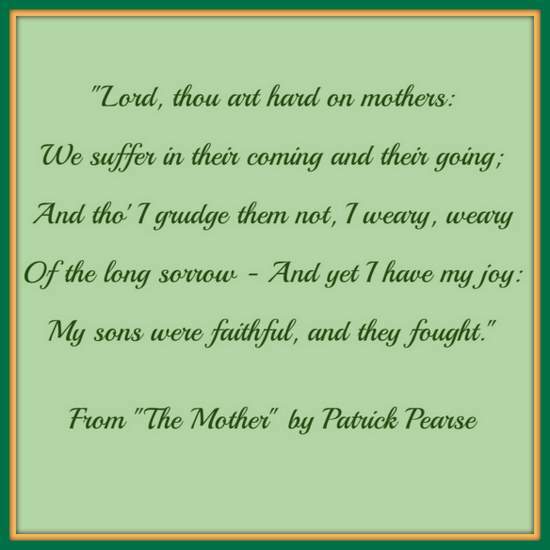 The voice in this poem expresses Margaret Pearse’s personal grief, but the depth of her sorrow and joy is universally acknowledged by all mothers. Pearse’s love for his mother also resonates in the words of encouragement he chose to share in his last and final letter to her, written on the day he died. I have been hoping up to now it would be possible to see you again, but it does not seem possible. Good-bye dear, dear, mother. Through you I say good-bye to Wow Wow, M.B., Willie, Miss Byrne,. Michael, cousin Maggie and everyone at St. Enda’s. I hope and believe Willie and the St. Enda boys will be all safe. I have written two papers about financial affairs and one about my books which I want you to get. With them are a few poems which I want added to the poems in MS in my bookcase. You asked me to write a little poem which would seem to be said by you about me. I have written it, and a copy is in Arbour Hill Barracks with other papers and Father Aloysius is taking care of another copy of it. I have just received Holy Communion. I am happy, except for the great grief of parting from you. This is the death I should have asked for if God had given me the choice of all deaths – to die a soldier’s death for Ireland and for freedom. We have done right. People will say hard things of us now, but later on they will praise us. Do not grieve for all this but think of it as a sacrifice which God has asked of me and of you. Good-bye again, dear mother. May God bless you for your great love for me and for your great faith, and may He remember all you have so bravely suffered. I hope soon to see papa, and in a little while we shall all be together again. I have not words to tell you of my love for you and how my heart yearns to you all. I will call to you in my heart at the last moment. Willie, whom Patrick believed would be saved, was not spared. His brother was executed the following day at dawn. The Pearse brothers were brave and heroic men, raised by a remarkable woman who believed in the importance of our Irish identity, and instilled in her sons a love of Ireland’s cultural heritage, and the dream of Irish freedom. She paid the ultimate price when she lost her beloved sons. 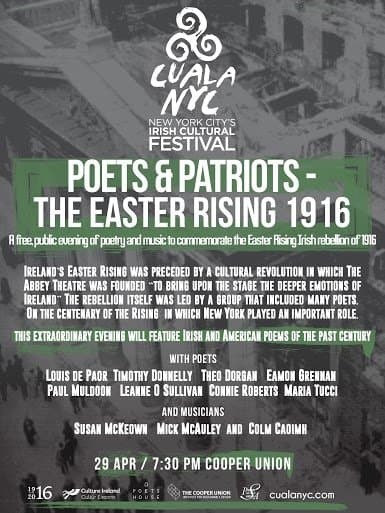 Ireland’s Easter Rising, one of the most significant events in Irish history, commenced on April 24th, 1916, exactly one hundred years ago today. The Proclamation of the Irish Republic, a document proclaiming Ireland’s independence from Britain, was read in front of Dublin’s General Post Office, by Patrick Pearse on this date, a century ago. 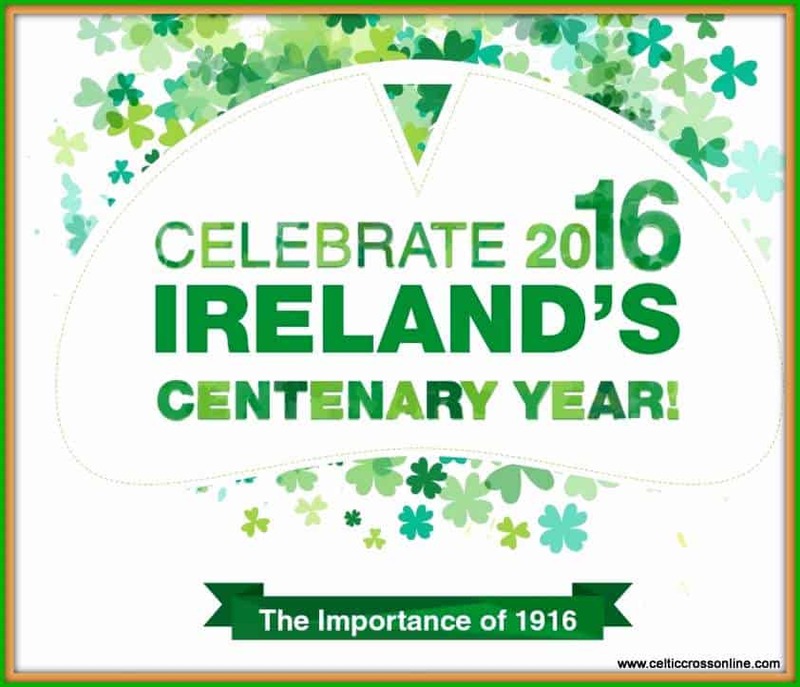 Here is a short excerpt from Ireland’s Proclamation which guarantees the rights of all Irish citizens …. the allegiance of every Irishman and Irishwoman. 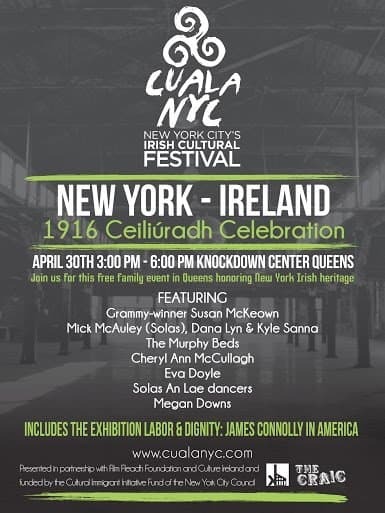 To commemorate the Easter Rising of 1916, I thought it would be fitting to share some information about this day in history, and to explore the aftermath of Ireland’s Rising. The good folks at Celtic Cross Online created this wonderful infographic to highlight some important facts about Ireland’s Easter Rising. 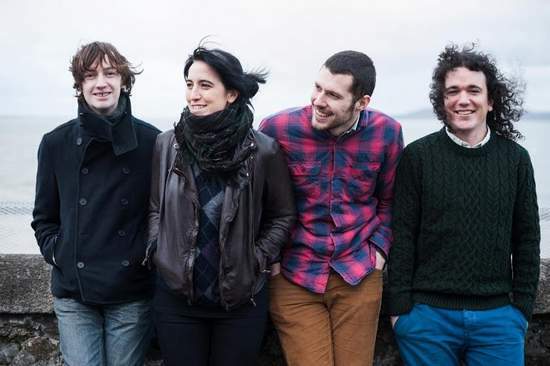 In this year of commemoration of the past and acknowledgement of Ireland’s accomplishments, it’s wonderful to see our history being researched, revisited, and shared with the world. Women played an extraordinary role in the years before and after Ireland’s 1916 Rising. These rebel women were teachers, actresses, fundraisers, nurses. 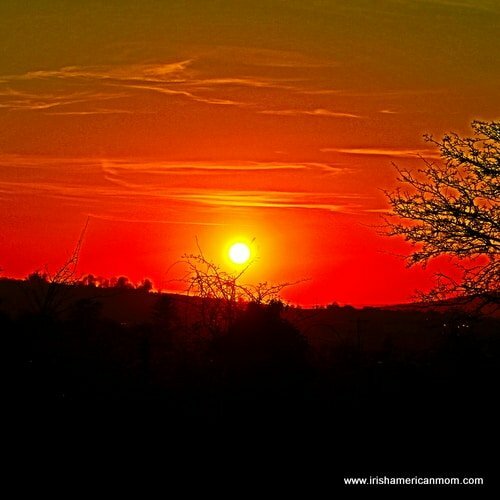 But many came from educated wealthy backgrounds, and their involvement in the struggle for Irish freedom required they give up the comforts of their class, the respect of their peers, and, at times, even be shunned by family and friends. 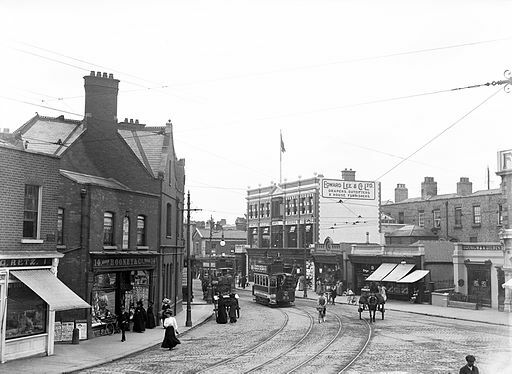 Rathmines circa 1911, the suburb of Dublin where the Gifford sisters grew up. 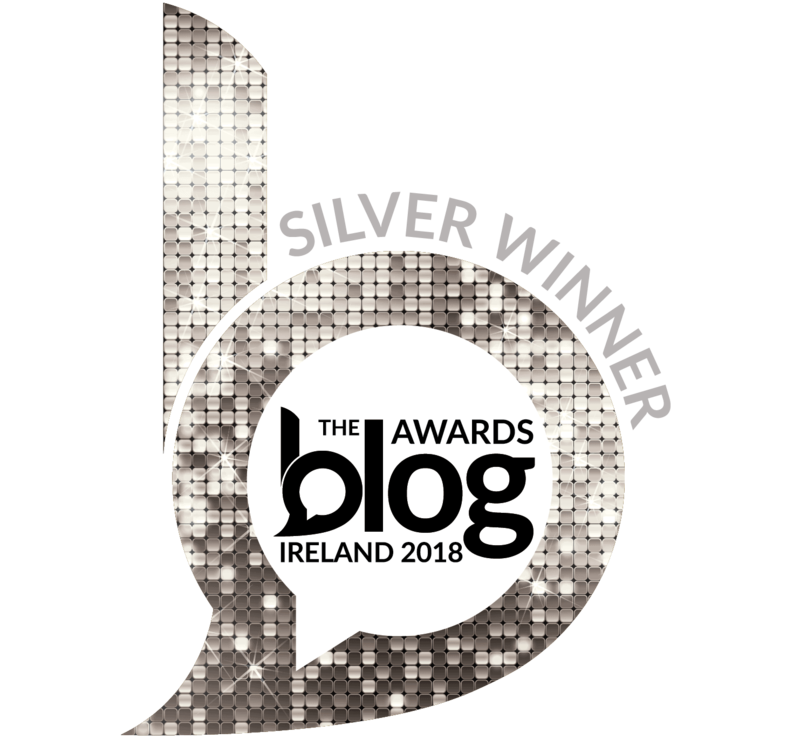 In today’s guest post, Brighid O’Sullivan explores the influence of Irish governesses on these Anglo Irish ladies who took up Ireland’s cause. And so I hand you over to Brighid as she explores …..
Irish governesses had the eyes and ears of the next generation, unbeknownst to their Anglo Irish parents who often had very little contact with their very impressionable offspring. The nursery was in an upper floor of the house and it was the governess’ role to spend all her waking hours with the children. She bathed and fed them. She cared for them in illness, read stories to them at bedtime, and taught them what she knew. 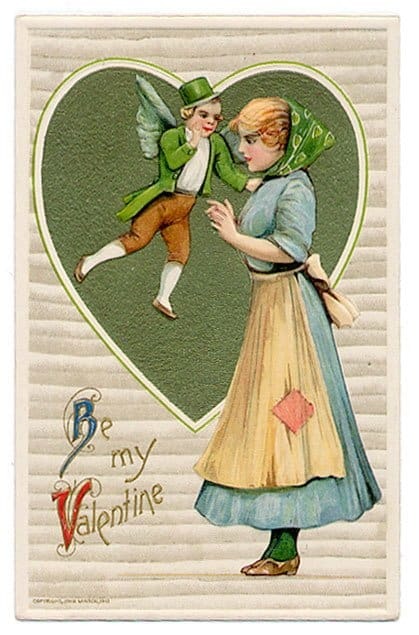 Every Anglo-Irish boy and girl began their education at the knee of his or her governess. 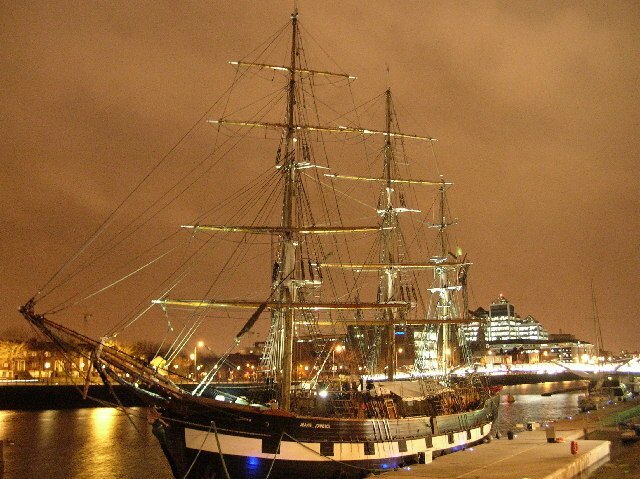 It was her influence that impressed the first notions of Irishness on her innocent and vulnerable subjects. 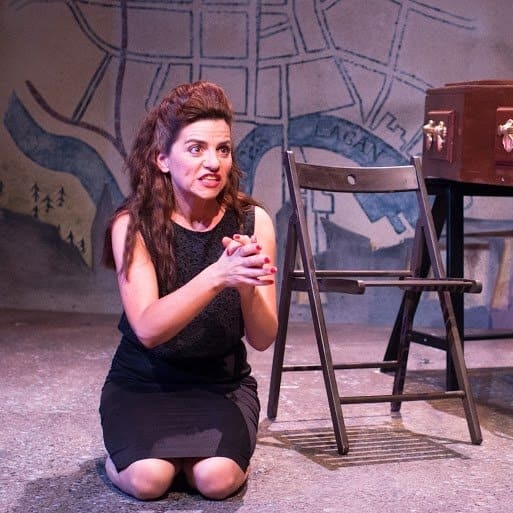 Irish songs and stories filled their dreams to the delight of their imaginations along with tales of evictions and famine, or the first-hand relation of an experience or tragedy experienced personally. 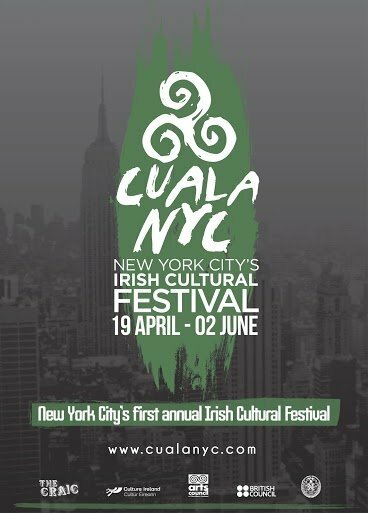 This is one of the places where the Gaelic Revival and the seeds of rebellion were implanted on the Irish heart, often simultaneously. 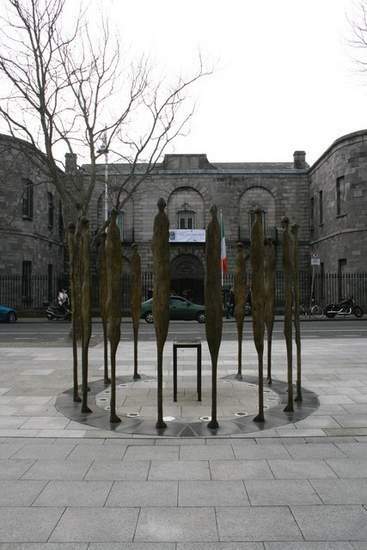 Memorial to the Executed Leaders of the 1916 Rebellion, directly outside the entrance to Kilmainham Gaol. © Copyright Graham Hogg and licensed for reuse under Creative Commons License. Protestant, Isabella and Catholic, Frederick Gifford had twelve children. 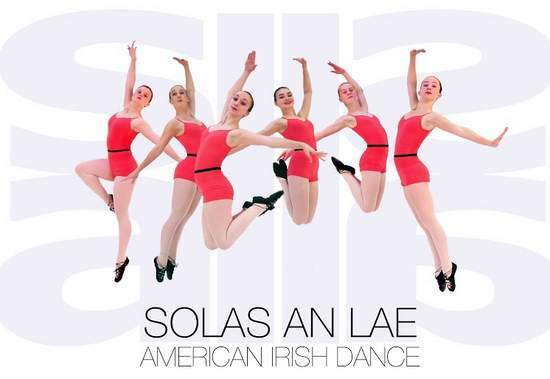 Each of their five daughters rebelled against colonialism and British rule in Ireland. Helen Ruth (Nellie) carried dispatches and food during the Easter Rising. She also opened an employment agency in Dublin when Irish men returned from England to escape conscription into the British army. Both Grace and Muriel married men who were executed in 1916. Sidney who used the pen name John, traveled to America where she reported abuses by the British government against the Irish. All twelve of the children had the same governess growing up, Bridget Hamill. 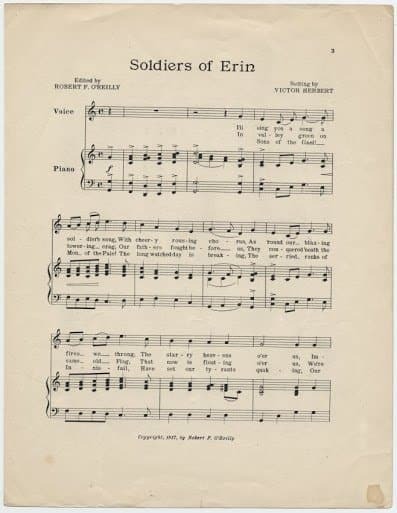 Nellie Gifford recalled the voice of her governess, singing songs about revolutionaries like Robert Emmet and Owen Roe O’Neill, as well as teaching her bits of Irish and Gaelic phrases. Bridget secretly gave presents to the children bought with funds from their meager allowances. One was a large yellow handkerchief. In the four corners were printed a question, its answer and two curses. 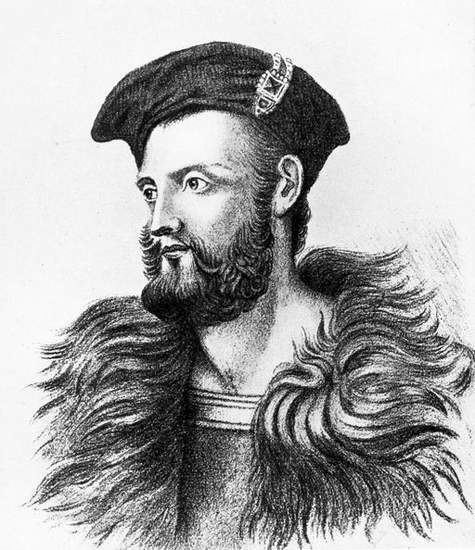 It was a poem about Owen Roe O’Neill, the last Gaelic Prince of Ireland. 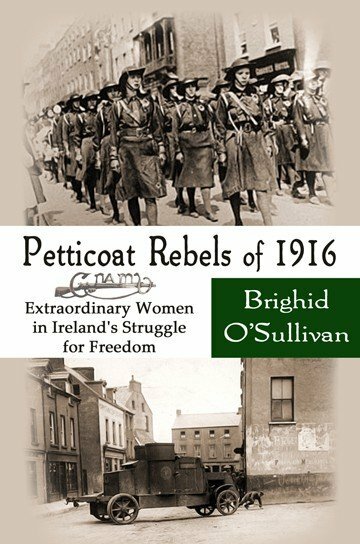 Nellie did not know at the time that Thomas Davis, a leader of the Young Irelanders, wrote the poem and little did Bridget know that in one way or another, each of the Gifford girls would be involved in Ireland’s Revolution. Owen Roe O’Neill – From “A Contemporary History of Affairs in Ireland, from 1641 to 1652, Vol. 1” by J.T. Gilbert 1879. 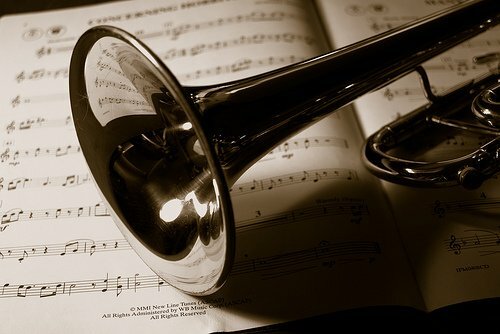 This work is in the public domain in its country of origin and other countries and areas where the copyright term is the author’s life plus 100 years or less. With soft blue eyes and a plump figure, Bridget wore stockings with a rainbow of bands in five different colors. This must have made the children laugh and left an indelible memory on Nellie and her siblings. During the children’s baths, she called them her Irish stew, giving each child the name of a vegetable. Bridget was fun. There was strong discipline in the Gifford household for how else could a nursemaid keep order over 12 children? Still, Bridget saw the need for children to be children. She took them to the park and allowed them to climb trees, pick berries, and help a local farmer. These were not activities an Anglo-Irish parent would have encouraged. Who better to sow the seeds of discontent with British occupation of Ireland than one so loved? A nursemaid from the rural parts of Ireland would have had a tale or two of personal tragedy to tell to her impressionable charges. One can only wonder at the outrage and shock of a child when he learned that someone would dare level a house or evict the family of his beloved nursemaid. The Catholic Church supported a free Ireland and Bridget likely was Catholic. While the British papers were referring to the Easter Rising as a mere skirmish with Sinn Féiners, a bishop said a mass for those who died in what he referred to as “the war.” This was well before what we know as the War of Independence. It’s on sale until March 26th. 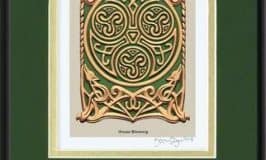 You can also follow her blog Celtic Thoughts for more Irish history. A big thank you to Brighid for her contribution today, especially since the 100th anniversary of the 1916 Easter Rising will be commemorated this week.